1. We have a table named BitwiseAnd. 2. 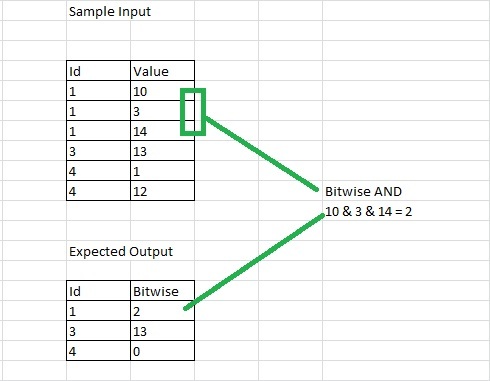 Here we have Id and Value columns, now iwe have group by column Id and Bitwise AND all the values in that group Id.